Just a bit of news for those that follow the Intel Xeon E3 line-up: get prepared for DDR4 RDIMM support. 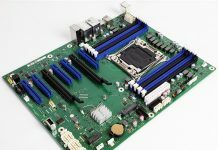 Although the desktop Broadwell parts are more similar to the current generation Intel Xeon E3 V3 processors in terms of UDIMM support, multiple industry sources confirmed that the next generation of LGA1151 Skylake processors will indeed support DDR4 RDIMMs. From what we are hearing engineering samples have had a similar dual memory controller (DDR3/ DDR4) design as many recent designs (such as Haswell-EP, Broadwell-DE, Haswell-EX) but the expectation is that most server related designs will indeed be designed around DDR4. By the time the Skylake server processors hit the market, DDR4 should be the dominant form of memory fabricated. Using registered DIMMs allows memory capacity to expand considerably. 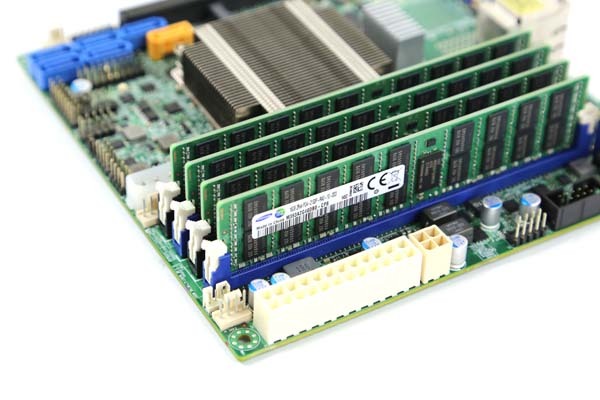 For example, while the current Haswell generation Intel Xeon E3 V3 processors support only 32GB of unbuffered ECC DDR3 DRAM the Intel Broadwell-DE based Xeon D-1540 can accept up to 128GB of DDR4 registered ECC DIMMs in the same 4 slot footprint. Today’s workloads are increasingly memory bound so an increase from a 8GB (practical) memory module/ slot limit to a 32GB (or potentially higher) memory module per slot format on Intel Skylake platforms is welcome. The Intel Xeon E3 platform is generally derived from desktop and mobile parts. Recent generations all support ECC UDIMMs which their desktop Core i5 and Core i7 parts do not support. This has been a significant limiting factor for the E3 series in the last few years as “going big” with larger Xeon E5 systems and using containers or virtual machines to parse out resources or “going small” and using Atom C2000 series or Xeon D processors has become increasingly popular. The bottom line is that after socket LGA1150 is retired and Skylake appears, we will expect DDR4 RDIMMs to become the defacto standard even on lower end machines that are currently limited to UDIMMs.